The eyes of the world are still on Venezuela, a country that is still struggling to recover its social, political, and economic stability. After the incidents of the chaotic weekend in which the #Venezuelaaidlive concert took place and the day of humanitarian aid, in LatinAmerican Post we want to fix our position regarding the military intervention in the South American nation to restore order. The first thing we must say is that the current moment is the beginning of a new cycle, which is based on diplomatic pressure, with Juan Guaidó as interim president and with the United States leading the operation against the Nicolás Maduro regime. There are confusions and also contradictions. Everyone wants the transition in Venezuela, but it does not seem very clear how. The ordinary citizen, who is certainly the one who suffers the most from the policies of the madurista regime, seems to be tired of waiting and wants a more expeditious exit. From the diplomatic side, the vision seems to be different. In fact, the deputy minister of Foreign Affairs of Peru, Hugo de Zela Martínez, and the vice president of Brazil, Hamilton Mourao, assured that the first option is still peaceful. However, the government of the United States, represented by its vice president Mike Pence, and even Guaidó himself, seems to be a little broader in this regard. Although they do not openly ask for a military intervention, they have been insistent with the phrase "all options are on the table", a position that has been rejected by Colombia. Even Pence himself insisted that Maduro accept the offer of amnesty made by Guaidó, since to maintain that adverse position is not going to be easy. In fact, for now, the measures continue to be political pressure as the sanctions imposed by the US on 50 officials and Petróleos de Venezuela (PDVSA). The next thing that could come will be the blockade of the financial system. What it shows that all the possibilities are exhausted before opting for a military intervention. The dialogue seems to be outdated and the diplomatic pressure to generate the transition looks like the most likely option. In the Colombian case, which due to its bordering proximity to Venezuela has also been affected by the crisis, the country has been characterized as a nation that supports political and democratic solutions. 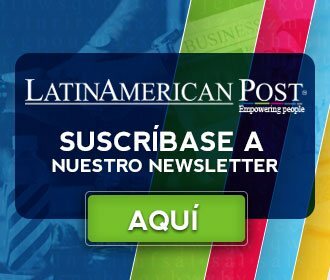 Historically, it has been its position and LatinAmerican Post supports this trend, as have other countries such as Spain, Peru, Brazil, Chile, and others. We believe that the diplomatic siege is the most viable option. With more governments supporting Juan Guaidó and putting pressure on Nicolás Maduro, this strategy is the best option. 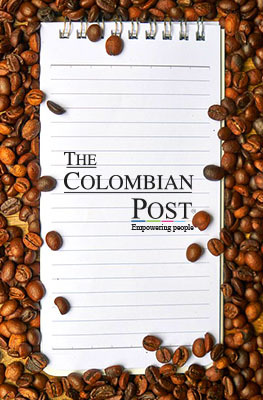 Lending the Colombian territory, and even its officials for this type of operations, has never been characteristic of the coffee country, as confirmed at the time by the Chancellor of Colombia, Carlos Holmes Trujillo. Translated from "Venezuela: presión democrática antes que intervención militar"